A significant object to be placed in a prominent position in the living room. The Cosmos coffee table has a rigid polyurethane frame covered in leather upholstery and an extra light glass table top painted white or painted black. 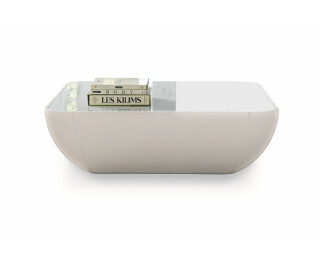 It is also available in the version fitted with a light and extra light glass table top painted white (Cosmos Light).